In order to prevent conflicts of interests, between June – September 2017, the National Integrity Agency has analyzed through the PREVENT IT system, a number of 2995 public procurement procedures with a total amount of 6,1 billion LEI (approx. 1,3 billion Euros). In this regard, PREVENT issued three integrity warnings regarding possible violations of the legislation on the conflicts of interests in public procurement. As a result of issuing the warnings, the management of the contracting authorities has eliminated the causes that generated the conflicts of interests. In other seven situations, ANI has notified the National Agency for Public Procurement (ANAP) for possible irregularities in public procurement procedures, as a result of PREVENT’s analysis activity. Out of the 2995 analyzed procedures, 10% refer to EU funded contracts. Also, a third of these procedures include a total number of 10.555 subsequent contracts (batches). During the first three months since it became operational, 795 contracting authorities, 4838 economic operators and 17.906 persons, representatives of public institutions and tenderers were taken into the PREVENT analysis. The highest value procedure analyzed by PREVENT was of 511 million LEI (about 112 million Euros) and the lowest value procedure with was of 800 LEI (about 173 Euros). PREVENT system was officially launched at the end of June 2017, with the objective to prevent conflicts of interests in the public procurement procedure by setting up an ex-ante verification mechanism in view of situations that may generate conflicts of interests within procedures initiated through the electronic procurement system, so that they are removed without affecting those procedures. Specifically, this prevention mechanism involves the analysis of the data and information filled in the integrity form by the responsible person within the contracting authority, by linking the PREVENT system with relevant databases (National Trade Register Office – ONRC, Directorate for Persons Record and Databases Management – DEPABD). The novelty of the system is brought by the fact that this can automatically track the presumptive relations that may exist between persons within the contracting authority and persons within economic operators that are tenderers in the public procurement process, initiated by a contracting authority. In case of identifying a possible conflict of interest, ANI issues an integrity warning, and the contracting authority must take all necessary measures for removing the possible conflicts of interests issued by PREVENT system. 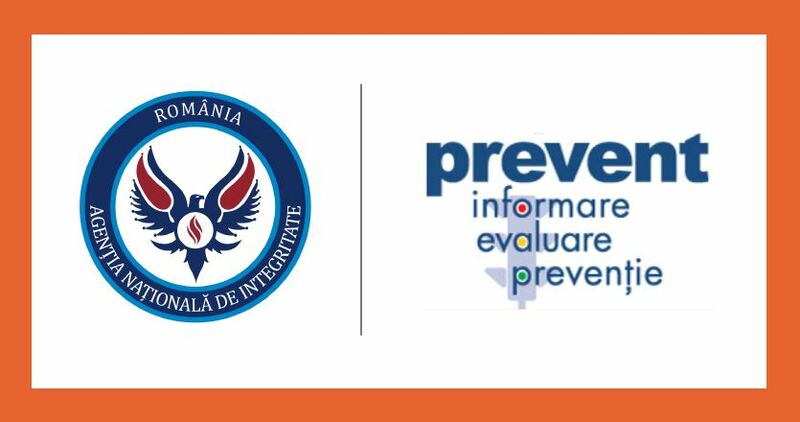 More information about PREVENT system can be found at the dedicated section on ANI’s website at the following link: https://www.integritate.eu/prevent.aspx.